Letters patent are a type of legal instrument in the form of a published written order issued by a monarch, president, or other head of state, generally granting an office, right, monopoly, title, or status to a person or corporation. Letters patent can be used for the creation of corporations or government offices, or for the granting of city status or a coat of arms. Letters patent are issued for the appointment of representatives of the Crown, such as governors and governors-general of Commonwealth realms, as well as appointing a Royal Commission. In the United Kingdom they are also issued for the creation of peers of the realm. A particular form of letters patent has evolved into the modern patent granting exclusive rights in an invention. In this case it is essential that the written grant should be in the form of a public document so other inventors can consult it to avoid infringement and also to understand how to "practice" the invention, i.e., put it into practical use. In the Holy Roman Empire, Austrian Empire and Austria-Hungary, imperial patent was also the highest form of generally binding legal regulations, e. g. Patent of Toleration, Serfdom Patent etc. In the United Kingdom, the privileged presses are Cambridge University Press and Oxford University Press. 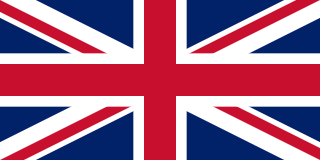 They are called this because, under letters patent issued by the Crown defining their charters, only they have the right to print and publish the Book of Common Prayer and the Authorised Version of the Bible in England, Wales and Northern Ireland. The Cambridge University Press charter from 1534 gives it the right to print "all manner of books", and Oxford University Press received a similar right when it was chartered in 1636. In addition both presses, by virtue of a separate set of letters patent, hold the explicit right to print the Authorised Version. John Milton was an English poet, polemicist, man of letters, and civil servant for the Commonwealth of England under its Council of State and later under Oliver Cromwell. He wrote at a time of religious flux and political upheaval, and is best known for his epic poem Paradise Lost (1667), written in blank verse. Octavo, a Latin word meaning "in eighth" or "for the eighth time", is a technical term describing the format of a book, which refers to the size of leaves produced from folding a full sheet of paper on which multiple pages of text were printed to form the individual sections of a book. An octavo is a book or pamphlet made up of one or more full sheets of on which 16 pages of text were printed, which were then folded three times to produce eight leaves. Each leaf of an octavo book thus represents one eighth the size of the original sheet. Other common book formats are folios and quartos. Octavo is also used as a general description of size of books that are about 8 to 10 inches tall, and as such does not necessarily indicate the actual printing format of the books, which may even be unknown as is the case for many modern books. These terms are discussed in greater detail in book sizes. The Geneva Bible is one of the most historically significant translations of the Bible into English, preceding the King James Version by 51 years. 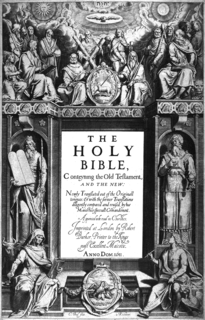 It was the primary Bible of 16th-century English Protestantism and was used by William Shakespeare, Oliver Cromwell, John Knox, John Donne, and John Bunyan, author of The Pilgrim's Progress (1678). It was one of the Bibles taken to America on the Mayflower. The Geneva Bible was used by many English Dissenters, and it was still respected by Oliver Cromwell's soldiers at the time of the English Civil War, in the booklet "Cromwell's Soldiers' Pocket Bible". In 1992 the press opened its own bookshop at 1 Trinity Street, in the centre of Cambridge. Books have been sold continuously on this site since at least 1581, perhaps even as early as 1505, making it the oldest known bookshop site in Britain. In 2008 the shop expanded into 27 Market Hill where its specialist Education and English Language Teaching shop opened the following year. The Press has, since 1698, been governed by the Press 'Syndics' (originally known as the 'Curators'),  made up of 18 senior members of the University of Cambridge who represent a wide variety of subjects and areas of expertise. The Syndicate has delegated its powers to a Press & Assessment Board, which has an Audit Committee, Remuneration Committee and Nominations Committee (all shared with Cambridge Assessment); and to an Academic Publishing Committee and an English Language Teaching & Education Publishing Committee. The Press & Assessment Board oversees the Press's financial, strategic and operational affairs, while the two Publishing Committees provide quality assurance and formal approval of the publishing strategy. The Chair of the Syndicate is currently Professor Stephen Toope (Vice-Chancellor of the University of Cambridge). The operational responsibility of the Press is delegated by the Syndics to the Press's Chief Executive, Peter Phillips, and the Press Board. The Cambridge English group publishes English language teaching courses and resources for all ages around the world. The group works closely with Cambridge English Language Assessment to provide solutions that improve language proficiency, aligned to the Common European Framework of Reference for Languages, or CEFR. Since 2010, Cambridge has provided electronic book content through the website Cambridge Books Online. For many years, all of Cambridge's journals have been published in both hard copy format and online. Other recent ventures include Race to Learn, curriculum software that uses Formula One to encourage group working in primary school children,  published through Cambridge–Hitachi, a joint venture between Cambridge University Press and Hitachi Software Engineering that produces software for teaching on interactive whiteboards in schools. In 2007, controversy arose over CUP's decision to destroy all remaining copies of its 2006 book Alms for Jihad: Charity and Terrorism in the Islamic World , by Burr and Collins, as part of the settlement of a lawsuit brought by Saudi billionaire Khalid bin Mahfouz. Within hours, Alms for Jihad became one of the 100 most sought after titles on Amazon.com and eBay in the United States. CUP sent a letter to libraries asking them to remove copies from circulation. CUP subsequently sent out copies of an "errata" sheet for the book. The American Library Association issued a recommendation to libraries still holding Alms for Jihad: "Given the intense interest in the book, and the desire of readers to learn about the controversy first hand, we recommend that U.S. libraries keep the book available for their users." The publisher's decision did not have the support of the book's authors and was criticized by some who claimed it was incompatible with freedom of speech and with freedom of the press and that it indicated that English libel laws were excessively strict. In a New York Times Book Review (7 October 2007), United States Congressman Frank R. Wolf described Cambridge's settlement as "basically a book burning". CUP pointed out that, at that time, it had already sold most of its copies of the book. In this ongoing case,[ when? ] begun in 2008, CUP et al. accused Georgia State University of infringement of copyright. CUP is one of thirteen publishers to participate in the Knowledge Unlatched pilot, a global library consortium approach to funding open access books. CUP is a member of the Open Access Scholarly Publishers Association. 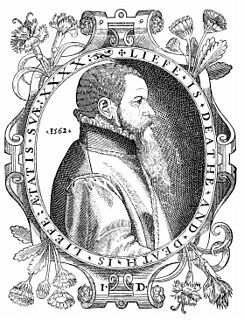 Johannes Gensfleisch zur Laden zum Gutenberg was a German blacksmith, goldsmith, inventor, printer, and publisher who introduced printing to Europe with the printing press. His introduction of mechanical movable type printing to Europe started the Printing Revolution and is regarded as a milestone of the second millennium, ushering in the modern period of human history. It played a key role in the development of the Renaissance, Reformation, the Age of Enlightenment, and the scientific revolution and laid the material basis for the modern knowledge-based economy and the spread of learning to the masses. The King James Version (KJV), also known as the King James Bible (KJB) or simply the Authorized Version (AV), is an English translation of the Christian Bible for the Church of England, begun in 1604 and completed as well as published in 1611 under the sponsorship of James VI and I. The books of the King James Version include the 39 books of the Old Testament, an intertestamental section containing 14 books of the Apocrypha, and the 27 books of the New Testament. The translation is noted for its "majesty of style", and has been described as one of the most important books in English culture and a driving force in the shaping of the English-speaking world. The history of copyright law starts with early privileges and monopolies granted to printers of books. 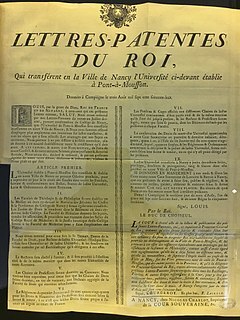 The British Statute of Anne 1710, full title "An Act for the Encouragement of Learning, by vesting the Copies of Printed Books in the Authors or purchasers of such Copies, during the Times therein mentioned", was the first copyright statute. Initially copyright law only applied to the copying of books. Over time other uses such as translations and derivative works were made subject to copyright and copyright now covers a wide range of works, including maps, performances, paintings, photographs, sound recordings, motion pictures and computer programs. Stanley Morison was an influential British typographer, printing executive and historian of printing. Largely self-educated, he promoted higher standards in printing and an awareness of the best printing and typefaces of the past. John Day was an English Protestant printer. He specialised in printing and distributing Protestant literature and pamphlets, and produced many small-format religious books, such as ABCs, sermons, and translations of psalms. He found fame, however, as the publisher of John Foxe's Actes and Monuments, also known as the Book of Martyrs, the largest and most technologically accomplished book printed in sixteenth-century England. The Society for Promoting Christian Knowledge (SPCK) is a UK-based Christian charity. Founded in 1698 by Thomas Bray, it has worked for over 300 years to increase awareness of the Christian faith in the UK and across the world. The Queen's Printer is typically a bureau of the national, state, or provincial government responsible for producing official documents issued by the Queen-in-Council, ministers of the Crown, or other departments. The position is defined by letters patent under the royal prerogative in various Commonwealth realms. Janson is the name given to a set of old-style serif typefaces from the Dutch Baroque period, and modern revivals from the twentieth century. Janson is a crisp, relatively high-contrast serif design, most popular for body text. Baskerville is a serif typeface designed in the 1750s by John Baskerville (1706–1775) in Birmingham, England, and cut into metal by punchcutter John Handy. Baskerville is classified as a transitional typeface, intended as a refinement of what are now called old-style typefaces of the period, especially those of his most eminent contemporary, William Caslon. Gáspár Heltai was a Transylvanian Saxon writer and printer. His name possibly derives from the village Heltau. Despite being a German native speaker he published many books in Hungarian from his print-shop. The brother of his son-in-law was Ferenc Dávid, Nontrinitarian and Unitarian preacher and the founder of the Unitarian Church of Transylvania..
Francis Sawyer Parris (1707–60) was an English biblical scholar. His textual corrections, italicizations, marginal notes, column headings and cross-references played a major part in updating and standardizing the 1611 Authorized King James Version of the Bible. Vincent Steer was a compositor noted for founding the British Typographers' Guild and for his book on typography, which was known as the "Typographer's Bible". John Baskett, was the king's printer. His sons, Thomas and Robert, and grandson by the latter, Mark, were also engaged in the press. The Eliot Indian Bible was the first Bible published in British North America. English Puritan missionary John Eliot produced a translation of the Geneva Bible into the indigenous Massachusett language. This is the reason that it is also known as Eliot's Indian Bible.Mamusse Wunneetupanatamwe Up Biblum God and the cover page of the translated Bible means The Whole Holy His-Bible God, both Old Testament and also New Testament. This turned by the-servant-of-Christ, who is called John Eliot. As of 2018, several firms in the United States rank among the world's biggest publishers of books in terms of revenue: Cengage Learning, HarperCollins, Houghton Mifflin Harcourt, McGraw-Hill Education, Scholastic, Simon & Schuster, and Wiley. As of 2018, seven firms in the United Kingdom rank among the world's biggest publishers of books in terms of revenue: Bloomsbury, Cambridge University Press, Informa, Oxford University Press, Pearson, Quarto, and RELX Group. ↑ "Cambridge announces tenth successive year of growth". Cambridge University Press. Retrieved 2018-02-06. ↑ "Oldest printing and publishing house". Guinnessworldrecords.com. 2002-01-22. Retrieved 2012-03-28. ↑ "A Brief History of the Press". Cambridge University Press. Retrieved 2018-08-03. ↑ "About Oxford University Press". OUP Academic. Retrieved 2018-08-03. ↑ "The Queen's Printer's Patent". Cambridge UNiversity Press. Retrieved 20 March 2016. ↑ "Cambridge University Press at a Glance". Cambridge University Press. ↑ Black, Michael (2000). 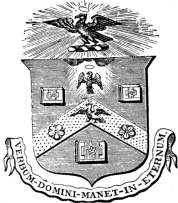 Cambridge University Press, 1584–1984. Cambridge University Press. ISBN 978-0-521-66497-4. ↑ "History of the Bookshop". Cambridge University Press Bookshop. 2009. Retrieved 16 Jan 2018. ↑ McKitterick, David (1998). A History of Cambridge University Press, Volume 2: Scholarship and Commerce, 1698–1872. Cambridge University Press. p. 61. ISBN 978-0-521-30802-1. ↑ "Statutes J – The University Press" (PDF). University of Cambridge. 2010. Archived from the original (PDF) on 7 June 2011. Retrieved 4 May 2011. ↑ "The Press Syndicate". Cambridge University Press. 1 2 Black, Michael (2000). A Short History of Cambridge University Press. Cambridge University Press. pp. 65–66. ISBN 978-0-521-77572-4. ↑ "The Queen's Printers Patent". Cambridge University Press Website. Archived from the original on 25 January 2012. Retrieved 15 October 2012. ↑ Neill, Graeme (1 November 2010). "CUP looks to digital". The Bookseller . Retrieved 4 May 2011. ↑ Neilan, Catherine (7 December 2009). "CUP launches online books platform". The Bookseller . Retrieved 4 May 2011. ↑ "BETT award winners 2010". The Guardian . 14 January 2010. Retrieved 4 May 2011. ↑ Steyn, Mark (6 August 2007). "One Way Multiculturalism". The New York Sun . Ronald Weintraub. Retrieved 4 May 2011. ↑ Richardson, Anna (3 August 2007). "Bonus Books criticises CUP". Thebookseller.com. Retrieved 4 May 2011. ↑ Jaschick, Scott (16 August 2007). "A University Press stands up – and wins". Insidehighered.com. Retrieved 4 May 2011. ↑ Danadio, Rachel (7 October 2007). "Libel Without Borders". The New York Times . Retrieved 4 May 2011. ↑ Taylor, Kevin (9 August 2007). "Why CUP acted responsibly". The Bookseller. Retrieved 4 May 2011. ↑ "《中國季刊》:對中國刪300多篇文章深表關注". 18 August 2017 – via www.bbc.com. ↑ "Cambridge University Press statement regarding content in The China Quarterly". Cambridge University Press. Retrieved 2017-08-20. ↑ Millward, James A. (2017-08-19). "Open Letter to Cambridge University Press about its censorship of the China Quarterly". Medium. Retrieved 2017-08-20. ↑ Phillips, Tom (2017-08-20). "Cambridge University Press censorship 'exposes Xi Jinping's authoritarian shift'". The Guardian. ISSN 0261-3077 . Retrieved 2017-08-20. ↑ Kennedy, Maev; Phillips, Tom (2017-08-21). "Cambridge University Press backs down over China censorship". The Guardian. ISSN 0261-3077 . Retrieved 2017-08-22. ↑ "Cambridge University Press reverses China censorship move". BBC News. 2017-08-21. Retrieved 2017-08-22. ↑ "Mystery of Cambridge University's £3.7 million Chinese benefactors". The Telegraph. 30 January 2012. ↑ "Cambridge University under fresh scrutiny over Chinese government-linked donation". The Telegraph. 8 October 2014. ↑ "劍橋大學曾收溫家寶家族基金會巨額捐款 - 即時新聞 - 20170819 - 蘋果日報". ↑ "Annual Report and Accounts for the year that ended 30 April 2009" (PDF). Cambridge University Press. 2009. p. 30. Archived from the original (PDF) on 2 November 2010. Retrieved 4 May 2011. ↑ "CUP grants worldwide digital rights to Bookshare". Research Information. 24 May 2010. Retrieved 4 May 2011. Wikimedia Commons has media related to Cambridge University Press .